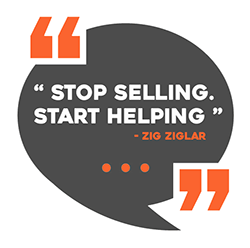 Americo has a game plan in place to help you be successful selling Med Supp. A new report from the AARP Public Policy Institute (PPI) examines trends in prices for 390 generic prescription drugs widely used by older adults. The report found that retail prices for these drugs fell by an average of 9.3% between 2016 and 2017; the general inflation rate rose by 2.1% during the same period. This follows two consecutive years of substantial generic drug price decreases; the previous two years saw prices increase. These price changes have meaningful financial consequences for people with Medicare and others who rely on generic drugs to stay healthy. According to the report, the average annual cost for one generic medication used on a chronic basis was $365 in 2017. This represents a dramatic drop since 2013, when the average annual cost of therapy was more than two times higher ($751). These findings are in stark contrast with trends in the brand-name drug market, where price increases continue to significantly outpace inflation. In 2017 alone, brand-name drugs widely used by older Americans increased by an average of 8.4%. A recent Kaiser Family Foundation report highlights the dramatic increase in Medicare spending on insulin products from 2007 to 2017. When taking into account payments made by plans, beneficiaries, and the federal government, spending increased by 840% from $1.4 to $13.3 billion. Although there are an increasing number of Part D enrollees and an increase in the percentage of enrollees who have diabetes—with one third (33%) of people with Medicare diagnosed with diabetes in 2016, up from 18% in 2000—these trends do not account for the steep growth in overall spending. Indeed, the study notes that the average total Medicare Part D spending per user on insulin products increased by 358% between 2007 and 2016 (from $862 to $3,949). As a Medicare agent one of the best ways to show your value is by staying on top of important events that may affect your clients. 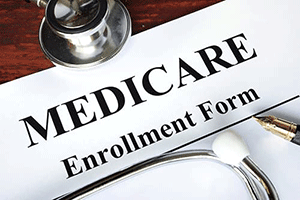 If you have clients that weren’t automatically enrolled in Medicare, and missed their IEP, the good news is - they can still apply for Medicare Part A and/or Part B during the Medicare GEP. The bad news is, they may incur a penalty for a late enrollment. There is no notice sent when someone turns 65 that says “It’s time to enroll in Medicare and if you don’t, you could have problems if you sign up later.” That’s where agents can step in and become known as a valuable resource for your senior clients. When is the General Enrollment Period? Medicare provides a General Enrollment Period (GEP) every year for people who missed signing up when they were first eligible. It’s like make-up time for Medicare enrollment. The general enrollment period (not to be confused with the Open Enrollment Period) runs from January through March. But coverage doesn’t begin until July 1st of the same year. If you didn’t sign up for Part B and recognize your error in March, you can be insured in July. If you figure it out in April, however, you can’t enroll until the following January and coverage wouldn't begin until July of the following year. That could mean a coverage gap of well over a year, depending on when you discover the problem. Enrollment in Part A, Part B or both January 1 through March 31st every year. Coverage begins on July 1 of the same year. They may be eligible to enroll in a Medicare Advantage (Part C) or a prescription drug (Part D) plan April 1 – June 30 of the same year. Last year, nearly 700,000 Medicare beneficiaries were paying Part B penalties, according to the Centers for Medicare and Medicaid Services. If you can make your clients aware before they miss their IEP, you could help them avoid alot of frustration and money down the road. Part A is premium free if you or your spouse worked and paid taxes for at least 10 years. If you have to pay a premium, the penalty for late enrollment is 10%. The Part A premium penalty is charged for twice the number of years you delay enrollment. If you wait 2 years, for example, you would pay the additional 10% for 4 years (2 x 2 years). The penalty applies no matter how long you delay Part A enrollment. The penalty for late enrollment in Part B is an additional 10% for each 12-month period that you delay it. Let’s say your Initial Enrollment Period ended September 30, 2010, for example. Then you enroll in Part B during the General Enrollment Period in March 2013. Your late enrollment penalty would be 20% of the Part B premium, or 2 x 10%. This is because you waited 30 months to sign up, and that time period included 2 full 12-month periods. In most cases, you have to pay the penalty every month for as long as you have Part B. If you’re under 65 and disabled, any Part B penalty ends once you turn 65 because you’ll have another Initial Enrollment Period based on your age. The penalty for late enrollment in a Part D plan is 1% of the average Part D premium for each month you delay enrollment. You pay the penalty for as long as you’re enrolled in a Medicare Part D plan. You may delay enrolling in Medicare Part D without penalty if you qualify for Extra Help or have creditable drug coverage. If it’s been more than 63 days since you’ve had creditable coverage, then the penalty may apply. Thanks for reading, and we hope you found this reminder helpful. Implantable hearing aids, such as middle ear implants. These changes are incorporated into the 2020 Medicare Advantage and Part D Rate Announcement and Final Call Letter. Your supervisors will provide details and elaboration of new M/A plans’ benefits as the evolution of plans’ components continues. UnitedHealth Group CEO David Wichmann warns that "Medicare for All" would "destabilize the nation's health system." Vermont Sen. Bernie Sanders unveiled a new bill that would create a government-run system to provide health insurance for all Americans. Freshman Rep. Alexandria Ocasio-Cortez is pushing a similar plan. UnitedHealth Group CEO David Wichmann warned investors on Tuesday that "Medicare for All" proposals pushed by Democratic lawmakers and presidential candidates would "destabilize the nation's health system." 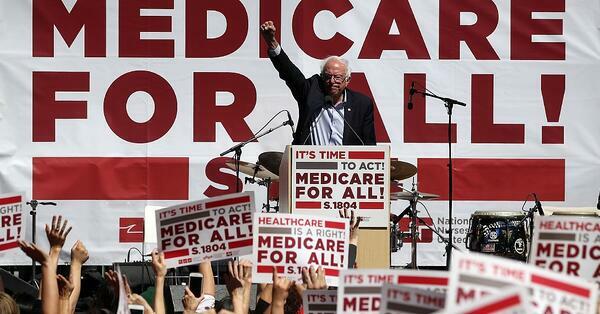 A number of Democratic proposals call for eliminating private health insurance and replacing it with a universal Medicare plan, claiming it would help reduce administrative inefficiencies in the health-care system. Most recently, Sen. Bernie Sanders of Vermont unveiled a bill that would create a government-run system to provide health insurance for all Americans. Freshman Rep. Alexandria Ocasio-Cortez is pushing a similar plan. Wichmann, who rarely discusses politics, told investors on a post-earnings conference call Tuesday such measures would "surely jeopardize the relationship people have with their doctors, destabilize the nation's health system and limit the ability of clinicians to practice medicine at their best." "And the inherent cost burden would surely have a severe impact on the economy and jobs — all without fundamentally increasing access to care," he added. The executive noted that health costs have grown less quickly than overall inflation for 16-straight months, saying "it has lessened considerably due to better management of price inflation and earlier and more effective management of care in lower cost settings." Despite concerns from UnitedHealth, public support for a single-payer system has grown. According to a survey from the Kaiser Family Foundation last month, 56% of respondents supported a national health plan in which all Americans would get insurance from a single government plan, versus 39% who said they oppose it. Health care has been the worst-performing sector in the stock market this year, rising by just 4.17% as of Monday's close, significantly lagging the broader market indexes. The Dow Jones Industrial Average is up 13.35% over the same period, and the S&P 500 is 16.12% higher. The biggest decliners have been from insurers, which are under threat from "Medicare for All" proposals. Investors are also watching the Trump administration's legal challenge to former President Barack Obama's signature health insurance law, the Affordable Care Act. A federal appeals court in New Orleans said last week that it will hear arguments in July on a lawsuit backed by President Donald Trump to overturn Obamacare. Dismantling the health-care law would lead to 32 million more uninsured people in the U.S. by 2026, according to an estimate from the Congressional Budget Office. Earlier Tuesday, UnitedHealth reported first-quarter earnings and revenue that beat Wall Street's expectations. It was driven by strength in its pharmacy benefit management business and higher enrollment for its health plans. The industry bellwether, which is the first health insurer to report quarterly results, also raised its full-year adjusted earnings forecast to between $14.50 and $14.75 per share from its prior projection of $14.40 to $14.70 a share. 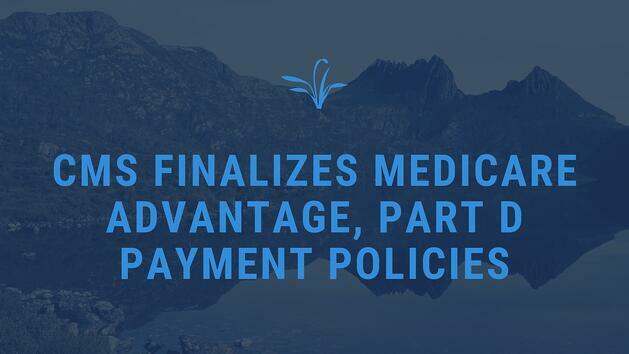 CMS finalized new Medicare Advantage and Part D payment policies for 2020 that will increase competition among health plans, leading to higher quality care at lower costs. The changes will increase plan choices and benefits, enabling seniors to choose Medicare Advantage plans that are offering supplemental benefits tailored to their specific needs. The updated policies will also give chronically ill patients with Medicare Advantage the option of accessing a range of benefits that aren’t necessarily health-related, but can improve or maintain the overall health of beneficiaries. These benefits may address the social determinants of health for beneficiaries with a chronic disease. For example, more Medicare Advantage enrollees may now receive meal delivery, transportation for non-medical needs like grocery shopping, and home environment services. For beneficiaries with asthma, a Medicare Advantage plan could cover home air cleaners or carpet shampooing to reduce irritants that cause asthma attacks. Plans could also cover healthy food or produce for enrollees with heart disease, or education programs for those with diabetes. The new policy updates will also include actions to help curb the opioid epidemic. Medicare Advantage plans can now offer targeted supplemental benefits to beneficiaries, as well as cost sharing reductions for patients with chronic pain. With the new policies, CMS is also encouraging Part D plans to offer at least one opioid-reversal agent on a lower cost-sharing tier. CMS’s past efforts to reduce opioid use have had positive results. The agency reports that between 2010 and 2017, its overutilization policies have led to a 14 percent decrease in the share of Part D beneficiaries using opioids. CMS first proposed these policy changes in January 2019, aiming to expand coverage opportunities for beneficiaries. “CMS is committed to modernizing Medicare and our top priority is to ensure that seniors have more choices and affordable options in receiving their Medicare benefits,” Verma said at the time. The new updates will expand on last year’s Medicare Advantage and Part D policy changes. Released in April 2018, these policy changes expanded the health-related benefits Medicare Advantage plans could offer, with benefits mainly supporting the daily maintenance of health. Because of these changes, Medicare Advantage plans can now offer supplemental benefits that aren’t covered under Parts A and B, if these benefits compensate for physical impairments, diminish the impact of injuries or health conditions, or reduce avoidable emergency room utilizations. The 2020 policy changes will enable Medicare Advantage plans to tailor benefits to suit beneficiaries’ needs and combat the opioid crisis, which will become increasingly important as Medicare Advantage and Part D plan enrollment continues to grow. six years, Part D premiums are at their lowest in three years, and plan choices have increased,” CMS concluded. 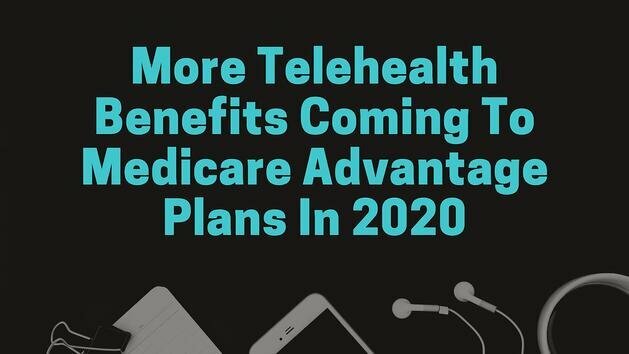 Access to telehealth services for seniors got another boost Friday when the Centers for Medicare & Medicaid Services said it would allow private Medicare Advantage plans to offer additional access to virtual doctors in their basic benefit packages. The so-called final rule will bring new benefits to seniors in 2020 as part of their Medicare Advantage plans. Such coverage is growing rapidly and expected to account for half of Medicare beneficiaries in the coming years, some analysts say. It could be a huge boon to companies like American Well, MDLive and Teladoc and an array of startups getting into the business of offering access to physicians and patients via smart phone, tablet or computer. Employers and private insurers are already embracing the trend as a way to make healthcare more convenient and avoid costly and unnecessary trips to the emergency room or a more expensive physician’s office. Increasingly popular Medicare Advantage plans contract with the federal government to provide extra benefits and services to seniors, such as disease management and nurse help hotlines, with some even providing vision and dental care and wellness programs. Medicare Advantage enrollment is projected to rise to 38 million, or 50% market penetration, by the end of 2025, L.E.K. Consulting projects. In 2017, Medicare Rights staff and volunteers addressed more than 15,000 questions and issues through the organization’s national helpline. In addition, over 2.8 million questions were answered for people with Medicare, their caregivers, and professionals serving them through Medicare Interactive, Medicare Rights’ free and independent online reference tool thoughtfully designed to help older adults and people with disabilities navigate the complex world of health insurance. 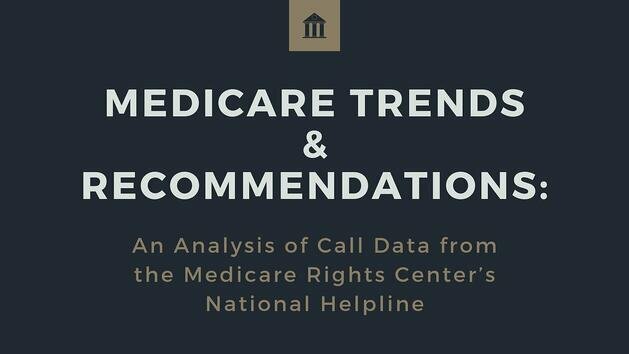 This report will feature select helpline trends and highlight the most commonly searched for Medicare Interactive answers, providing a glimpse into the information and coverage needs of Medicare beneficiaries and their families. As in previous years, helpline callers and users of Medicare Interactive were geographically and socioeconomically diverse, and needed help with a wide array of complex Medicare-related issues. Medicare Rights served clients in all 50 states. Approximately 30% of helpline callers were living on incomes of less than $19,000 per year. This number includes people dually eligible for Medicare and Medicaid, who represented 10% of all callers. Caregivers helping to resolve issues and asking questions for family members accounted for 20% of helpline callers. And around 25% of helpline callers were under 65 and eligible for Medicare due to disability. Medicare Rights has less robust demographic data on users of Medicare Interactive but knows that these users represent both beneficiaries and the professionals serving them, and the most popular sections in 2017 included one on Medicare-covered services and one that introduces Medicare eligibility and coverage topics. Medicare Rights produces this report so that advocates, policymakers at the Centers for Medicare & Medicaid Services (CMS) and the Social Security Administration (SSA), and other stakeholders can better understand the needs of beneficiaries and work toward greater accessibility and affordability in Original Medicare and Medicare Advantage. For instance, in order to streamline and increase consumer awareness around Part B enrollment, the Beneficiary Enrollment Notification and Eligibility Simplification (BENES) Act, supported by Medicare Rights and further discussed in this report, was introduced in Congress in 2017. In 2018, additionally, Medicare Rights led advocacy efforts with CMS to extend the Medicare Part B time-limited equitable relief opportunity for Medicare beneficiaries who are enrolled in Marketplace health insurance instead of Medicare. 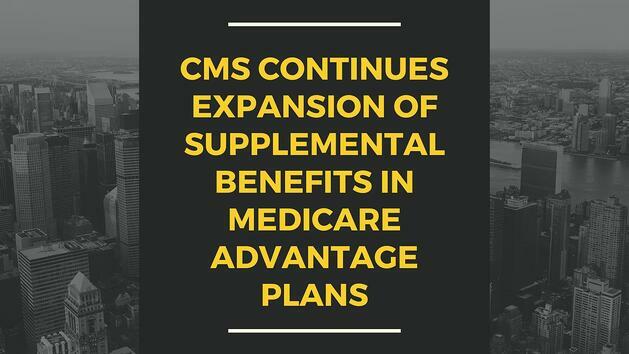 Medicare Rights applauds CMS for extending and providing this relief opportunity through 2019 and beyond for those eligible in 2019 or prior years. Around two-thirds of Americans receive their Medicare benefits through Original Medicare, and it is critical to protect Original Medicare as an important coverage option, even while Medicare Advantage may be the right choice for some beneficiaries. Medicare Rights expressed its concerns with CMS education and outreach materials prepared for the 2018 Medicare Annual Coordinated Election Period, which many perceived promoted Medicare Advantage over Original Medicare. CMS listened to Medicare Rights’ and other advocates’ concerns, and the final version of the 2019 “Medicare & You” handbook—the primary educational resource for those new to Medicare—was more balanced and accurate. Medicare Rights hopes that additional recommendations made in this report to increase Medicare’s responsiveness to beneficiary needs will be similarly heeded and acted on. As part of its effort to shift more of its business towards value-based care arrangements, Louisville-based insurer Humana has launched a national Oncology Model of Care program meant to drive better treatment of cancer patients across the country. Through the program – which targeted at both Medicare Advantage beneficiaries and commercial members – Humana will support better care coordination and health outcomes through financial incentives. The insurer said it will provide compensation for better care navigation based on quality and cost metrics across various parts of the patient journey ranging from inpatient admissions, ED visits, prescription drugs, diagnostics and radiology. Humana lists 16 providers as inaugural participants in the program including multiple members of The US Oncology Network, along with health systems and practices like Cincinnati-based Tri Health and Kentucky’s Baptist Health Medical Group. While the CMS Innovation Center has developed its own Oncology Care Model, the program is focused on episodes of care surrounding chemotherapy administration. Humana is hoping to improve general cancer care for patients over the period of a year by emphasizing more face time between physicians and patients, access to proactive health screenings and the increased use of data analytics to better coordinate care around patients. The new oncology program is the payer’s fourth specialty-care payment model, alongside bundled payment programs for Medicare Advantage spinal fusion patients and total joint replacement patients, as well as maternity care bundled payment programs for commercial group members with low-to-moderate risk pregnancies. Humana has more than 2 million Medicare Advantage members and around 115,000 commercial plan members who are cared for by primary care physicians in value-based payment relationships. Medical costs for patients who were affiliated with physicians in Humana MA value-based agreements were also 15.6 percent lower than traditional Medicare. Humana’s recent activities are indicative of the larger payer industry making a full-scale business transition to value-based care. Case in point, UnitedHealthcare is launching a Care Bundles program next year that will offer providers across 30 states the option of participating in bundled payment arrangements for eight medical procedures for MA patients.